I’ve had some people email to ask about the makeup brushes I use and that’s when I realized that I don’t talk a lot about makeup brushes do I? Well I have to rectify that 🙂 So from now, as and when I can, I will be showing you some of the makeup brushes I use on a day to day basis and what I think of them. That’s a bit silly right? If I use them on a day to day basis I should be liking them 😛 Let me think about that for a bit…but I’ll start with one of my favourite brushes. 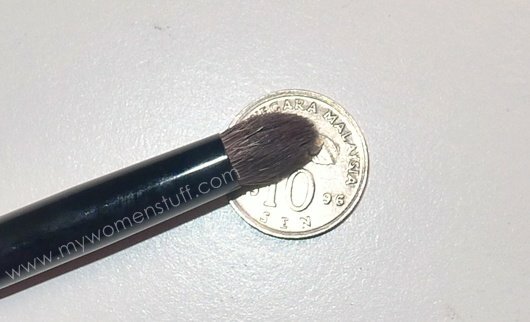 The Smashbox Definer brush #15 is an eyeshadow brush. I first came across it when I met with the Smashbox artist Robin Flanagan who enthused about the brush for eyeshadow colour application. I however balked at getting it immediately because I’m always a bit hesitant about getting brushes off the bat (they’re pricey for an impulsive purchase). 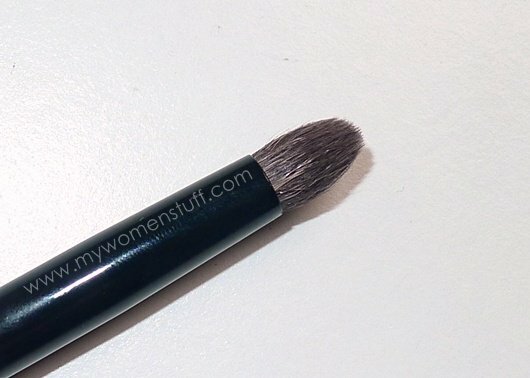 This is an eyeshadow brush and Smashbox calls it a Definer Brush #15 for detailing, contouring and blending. I love the shape because its a little tapered at the top, which makes is easier to get a nice definition in the crease area. What I use this for mostly, is for lid colour application and to blend the lid colours into the crease. As I have a small lid area, the small brush head is perfect for the job. You can see how it compares to a 10 sen coin 🙂 The density of the brush means that it picks up colour very well and deposits it very nicely on the skin. This is a natural hair brush (squirrel), so those who don’t like natural hair brushes or are allergic, should take note. I find like all natural hair brushes, it can be a little pokey on the skin, but usually after a wash, its fine. 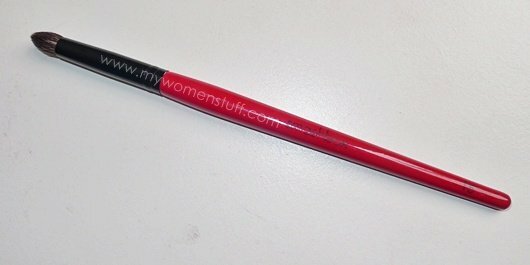 Do you own this one or do you own a similar brush? Don’t take my word for it, but it might be similar to the #219 Pencil Brush by MAC, which I do not own and therefore cannot compare. It does look similar though. If you know the local price of this brush, please let me know in the comments and I’ll update. NEXT POST: Adventures in Makeup: How adventurous are you with colour? Yellow and Pink blush anyone? GOOD, because I am too sensitive to use the MAC 219.. I hope that this NARS is soft.